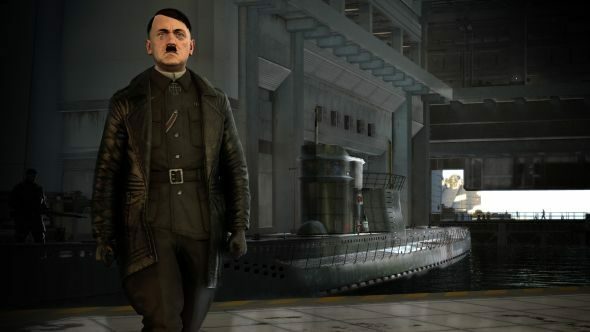 If you make a game set in World War 2 where I get to shoot a gun, you probably can’t go wrong with adding Hitler as an NPC. Rebellion know this and thus the Target: Fuhrer DLC is born. Free to anyone who pre-orders Sniper Elite 4, it allows you and up to one co-op partner to go after The Big Nazi One. There’s apparently a dozen different ways to get him done with, all hidden in the trailer above. How will it rack up against the best FPS games there are? It’s targeted for replayability, so don’t expect your first attempts to take too long, but the more inventive you can get the more fun you’ll have, especially in co-op. That’ll all come free with any pre-order of Sniper Elite 4, or be purchasable on launch day if you don’t get it beforehand. No price details have been given.